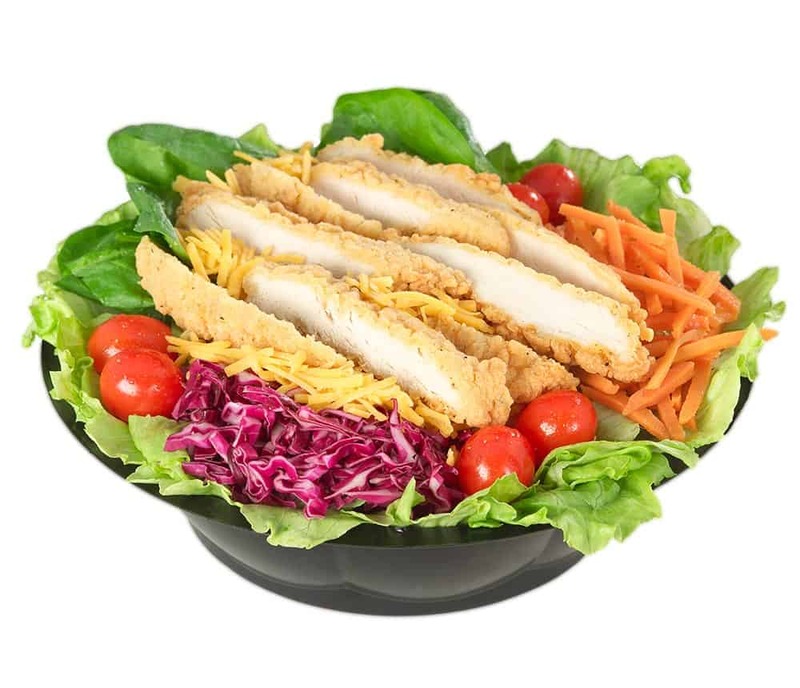 Our chicken strip salad is made with strips of breaded chicken served atop fresh lettuce, crisp carrots, cabbage, grape tomatoes, spinach leaves, and dairy-fresh shredded cheddar cheese. Served with your choice of dressings, seasoned croutons, and crackers. Enjoy one for lunch or dinner! Also available at our Grill!